Summer fun with the SUNNYBOYS, this time tackling regional centres with an all star bill. Tickets and full info here. 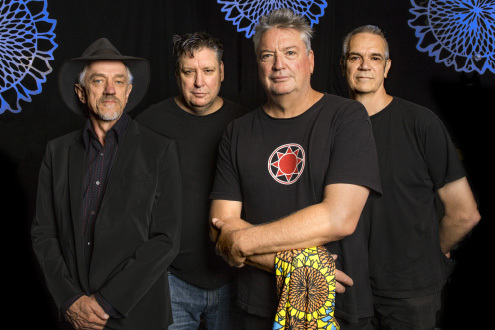 After a 21 year break, Sunnyboys re-entered the fray in 2012 at the behest of a Hoodoo Gurus invitation after agreeing to regroup “just for fun and for old times’ sake”. Six years later andSunnyboys 2.0 have notched up a resume the envy of any band – contemporary or vintage – including a co-headline appearance to 45,000 people for A Day On The Green 2015; a succession of sold-out shows at Sydney’s Enmore Theatre and the Sydney Opera House, a venue attendance record at the Coolangatta Hotel (previously held by Noiseworks) plus sold-out shows (multiple times over) in Melbourne, Byron Bay, Perth and venues across the nation. The current edition of Sunnyboys features all the original members who are making the most of their second chance as a touring outfit. With Icehouse, Do Re Mi and Mental As Anything plus special guests to be announced.